Areola reduction is done because the areola itself is large or wide. But there is a commonality in the patients who need this surgery. they have large sized breasts or breasts that are sagging a little. is there is much amount of fat or these tissues, the areola would be bigger. We need to think about this point. for the size of the breast. We cannot conduct areola reduction surgery just because you think it is big. whether they are cosmetically looking good or not. also want sagging breast correction or breast reduction surgery. means that we are reducing the outer skin layer of the breast. A good example would be wrapping up an object in a very old cloth. The cloth would extend in such case. How can you make this cloth tightly bonded? You would need to remove the cover of this cloth. Same applies to the breast as well. Such principle applies to sagging breast correction. Everything is based on common sense and so are all these surgeries. 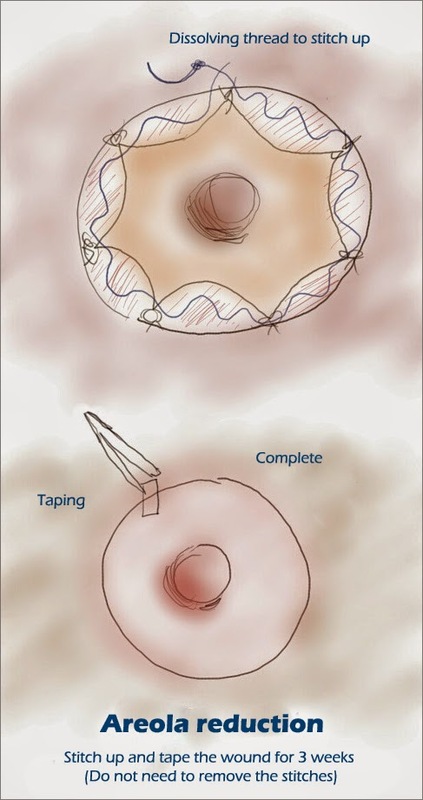 Areola reduction can be perceived to be very simple. 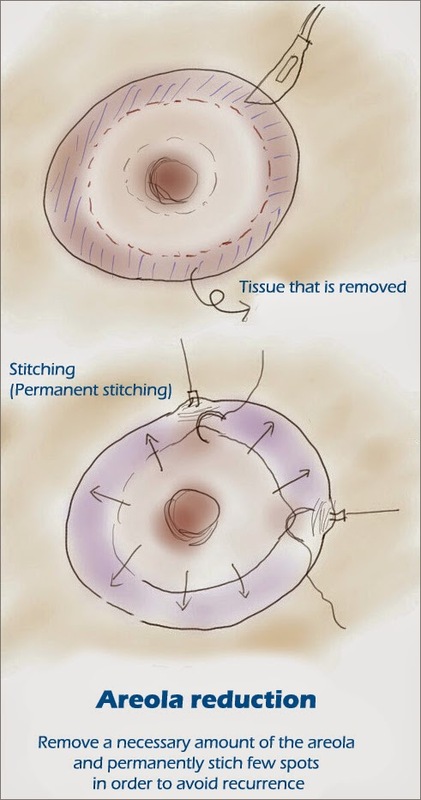 in order to perform the areola reduction surgery. Why the areolas becomes large? It is because the breasts are very heavy. if you reduces the breast size as well. and areola reduction surgeries together. Breast augmentation would only extend the skin layer surrounding the breast. would make the areola larger. with breast augmentation unless in certain special cases. with breast reduction or sagging breast correction surgery. In most cases, areola reduction is a sub surgery that is added to a main one. You should not think of the result of areola reduction as an independent one. with another surgery as a whole. but it is not as satisfying as other breast surgeries. This is because areola reduction isn't an independently surgery. You need to consider this important. You might think that this is a very minor surgery, but it is not. Areola reduction surgery is not an easy surgery. to come up with a good plan on how to conduct the surgery. Today, we shared some details on the areola reduction surgery.